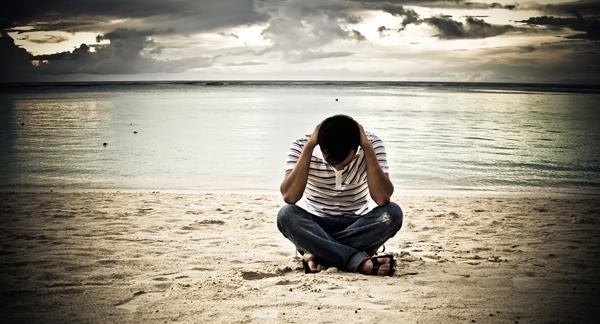 "Headache" by Leland Francisco, used with permission under CC BY 2.0. Source. 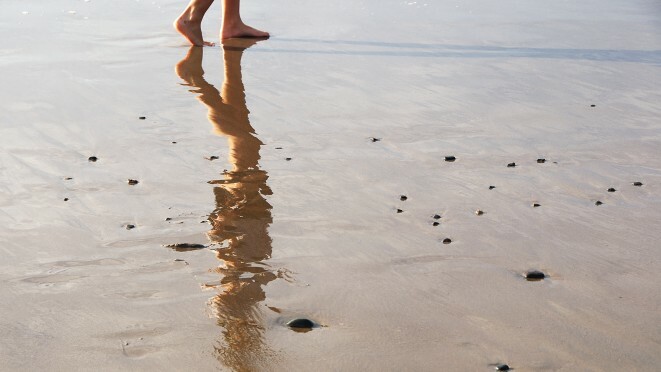 "Feet on the ground" by Felipe Gabaldon, used with permission under CC BY 2.0. Source. 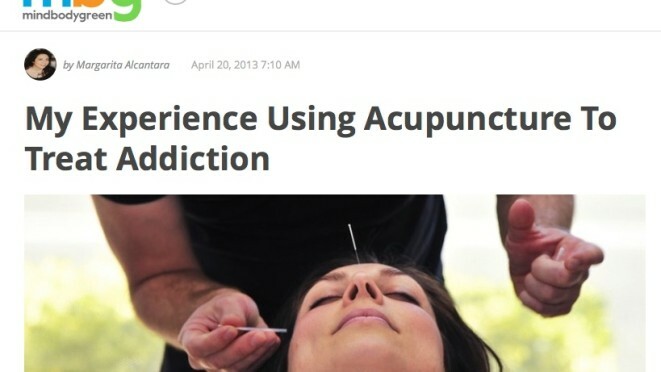 Screenshot of my MindBodyGreen article. 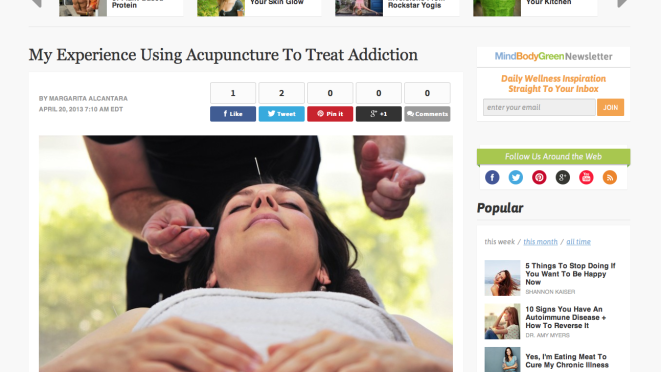 My Article “My Experience Using Acupuncture To Treat Addiction” Published In MindBodyGreen! 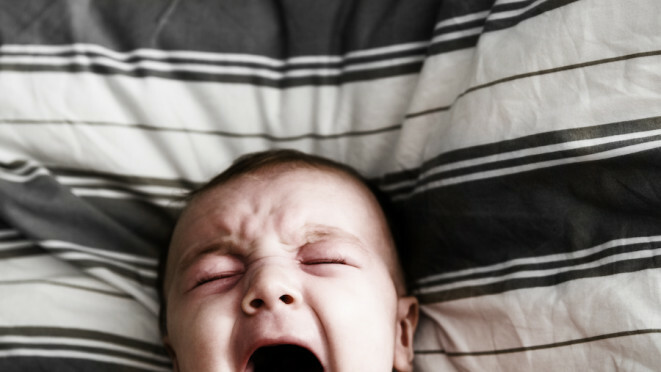 "(Don't) Cry" Pedro Klien,, used with permission under CC BY 2.0. Source. 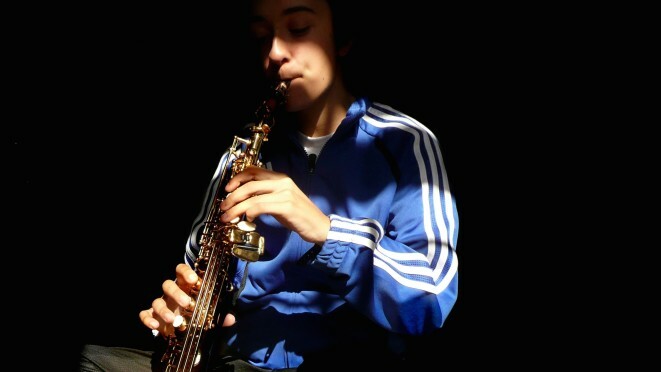 Music is a form of meditation. "Meditation:" by Evonne, used with permission under CC BY 2.0. Source. 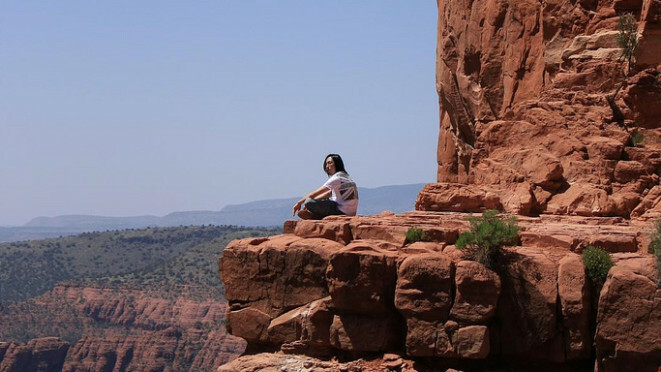 "Cliff meditation" Toshimasa Ishibashi, used with permission under CC BY 2.0. Source.